The 1st of November is All Saints' Day, also known as Feast of All Saints. This Christian festival is a celebration to all the known and unknown saints in the land. Every pilot has his own sets of beliefs, although most are dependent in science, technology and their own skills; some Christian pilots put their confidence and safe flight in the hands of the Divine Creator, his angels or the saints that are believed to watch over them. Have you ever wondered who the patron saint of aviation is? We've decided to do a little saint-searching for this special occasion. 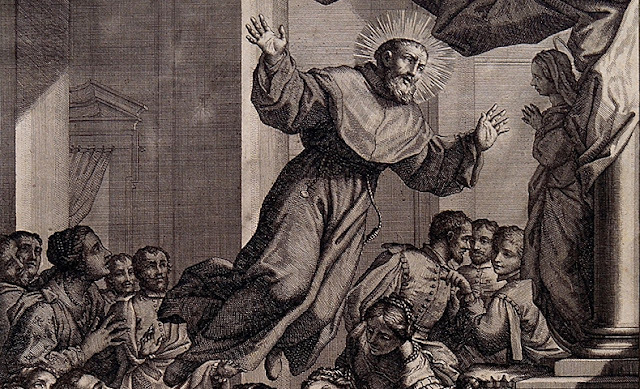 Who would have thought that before flight assistant applications were invented, aside from charts and maps, pilots heeded upon the wisdom of saints. While searching on this subject, we have stumbled across the curious case of a man who was claimed to have levitated in the 17th century: St. Joseph of Cupertino. If his name sounds familiar, that's because he is not only the Patron Saint of Pilots, Air Travelers and Astronauts but also the Patron Saint of Exam Takers. St. Joseph was born Giuseppe Desa in 1603. He was said to have been strange and not particularly clever; he was called "bocca-aperta" because his mouth was always open. According to accounts, he was always gaping because he had religious visions. He was said to have been ordained by chance: along with other candidates, who were presented to the bishop for oral examination. However, after hearing the first few candidates speak so passionately and persuasively, the bishop cut short the questioning and announced they would all be ordained. Joseph was never questioned (which probably explains why he is the patron saint of exam takers). 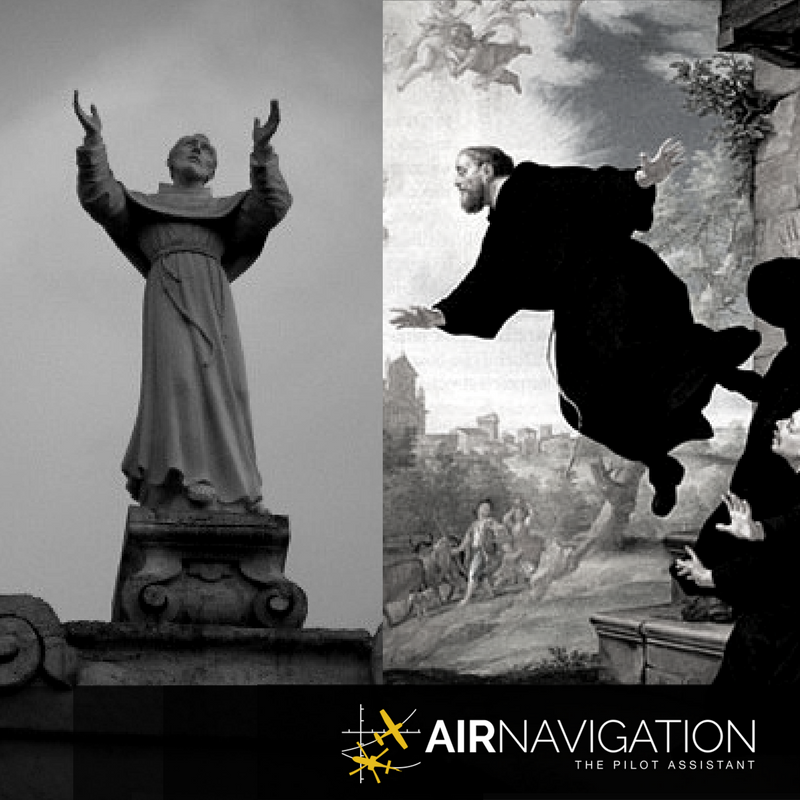 Although there are other saints that are attributed to aviation and air travel, the man who flew was the most curious of them all.